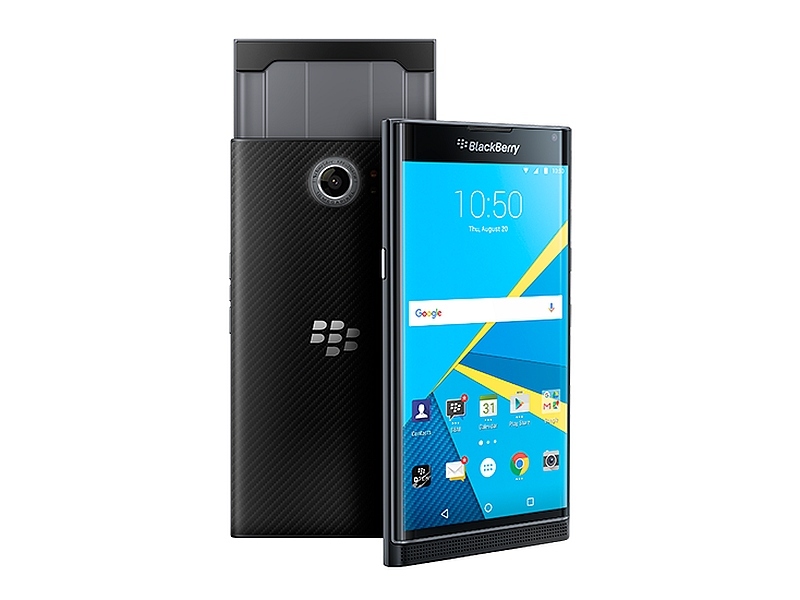 BlackBerry announced the launch date for its first ever Android Smartphone-the BlackBerry Priv. The BlackBerry Priv will be unveiled on January 28 in New Delhi. The Canadian mobile company in last September had confirmed that Priv would be launched in 2015. Accordingly, the said Smartphone finally went on sale in the US and Canada in November last year. In the United States, the BlackBerry Priv is priced at $699 in the US which works out to nearly Rs. 47,300. The Android 5.1.1 Lollipop-based BlackBerry Priv features a 5.4-inch QHD (1440×2560 pixels) Amoled display, a pixel density of 540ppi. It also supports a glove mode. It is powered by a Qualcomm Snapdragon 808 hexa-core processor (1.8GHz dual-core Cortex-A57, and 1.44GHz quad-core Cortex-A53) . BlackBerry Priv has got 3GB of RAM and Adreno 418 GPU at its disposal. The Smartphone has 32GB of built-in storage which can be expanded by a hot-swappable microSD expansion slot (up to 2TB). Amera wise, an 18-megapixel rear camera is at the rear well equipped with features such as optical image stabilization, PDAF, dual-LED flash, and 4K video recording. A 2-megapixel front-camera is also on board, and offers HD video recording. The phone is fuelled by a massive 3410mAh battery. The connectivity options on the BlackBerry Priv include 4G LTE, Wi-Fi 802.11 a/b/g/n/ac with Direct functionality, Bluetooth 4.1, 3.5mm audio jack, Micro-USB, NFC, and GPS/ A-GPS. The Smartphone bears an accelerometer, magnetometer, gyroscope, time of flight (ToF) sensor, proximity sensor, ambient light sensor, altimeter, and activity monitor.